Medical Malpractice is a doctor’s failure to exercise the degree of care and skill that a physician or surgeon of the same medical specialty would use under similar circumstances. When medical “standards” are not followed, it is also known as med mal. A lawyer that knows about medical problems & medical laws is needed to help a claim reach the courts in the fastest, accurate, and most complete way possible. A medical malpractice lawyer will work with the hospital system & medical law system to find out what your rights and legal options are. While you or someone you know gets better or recovers from your medical mistake or injury, the medical malpractice attorney will fight for your legal rights. Finally, if you signed a Consent Form, you should not that you have not waived your rights to sue for Medical Malpractice. Health care providers are not given a license to commit malpractice simply because a consent form was filled out by a patient. 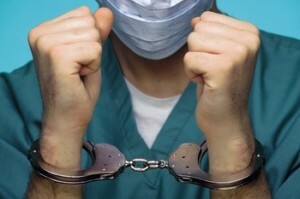 Despite the fact that the execution of a characteristic consent form specifies acknowledgment of the stated risks and complications in conjunction with a given treatment or operation, it doesn’t relieve a health care provider from their responsibility of meeting the standard of care in association with such treatment or operations. Heart Attack / Stroke / Aneurysm – Failure to diagnose and treat, delay in diagnosis, misdiagnosis, and failure to respond to lab results related to cardiac arrest (heart attack), stroke and brain aneurysms. Cancer – Failure to diagnose, misdiagnosis and failure to treat cancers including breast cancer, colon cancer, endometrial cancer, prostate cancer, lung cancer, and cervical cancer. Other Medical Negligence and Medical Error – Other injuries resulting from medical negligence and medical error including medication error, misdiagnosis, delay in diagnosis, failure to treat and more resulting in injury, wrongful death and unwarranted surgery.